View cart “Eucalyptus Soap w/ Dead Sea Minerals, Argan Oil, Shea, Eucalyptus Essential Oil, 7oz” has been added to your cart. 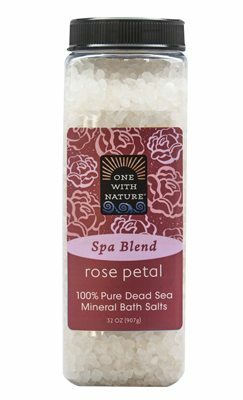 The Dead Sea’s rich mineral salts deeply cleanse and tone while restoring the skin’s natural pH. This unique soap combines pure Dead Sea salt, argan oil, shea butter and essential oils in a natural vegetable base. Triple milled* right at the source — The Dead Sea. Absolutely nothing artificial. Scented with the sweet nectar of lemons and lemon verbena plant. 6 pack of shrink wrapped soaps with tear-off top for display or easy storage. Ingredients: Sodium Palmate (Saponified Palm Oil), Sodium Palm Kernelate (Saponified Palm Kernel Oil), Water (Aqua), Parfum (Fragrance), Sodium Chloride (Salt), Glycerin (Vegetable Glycerin), Maris Sal (Dead Sea Salt), Aloysia Tryphilla (Verbena Petals), Butyrospermum Parkii (Shea Butter), Argania Spinosa (Argan Oil), Bixa Orellana (annatto) Seed Extract (Plant Based Pigment), Gardenia Florida Extract (Plant Based Pigment), Citric Acid, Tocopherol (Vitamin E).